LONDON - Hackers on Sunday claimed to have stolen a raft of e-mails and credit card data from U.S.-based security think tank Stratfor, promising it was just the start of a weeklong Christmas-inspired assault on a long list of targets. Lt. Col. John Dorrian, public affairs officer for the Air Force, said that "for obvious reasons" the Air Force doesn't discuss specific vulnerabilities, threats or responses to them. "The Air Force will continue to monitor the situation and, as always, take apporpriate action as necessary to protect Air Force networks and information," he said in an email. 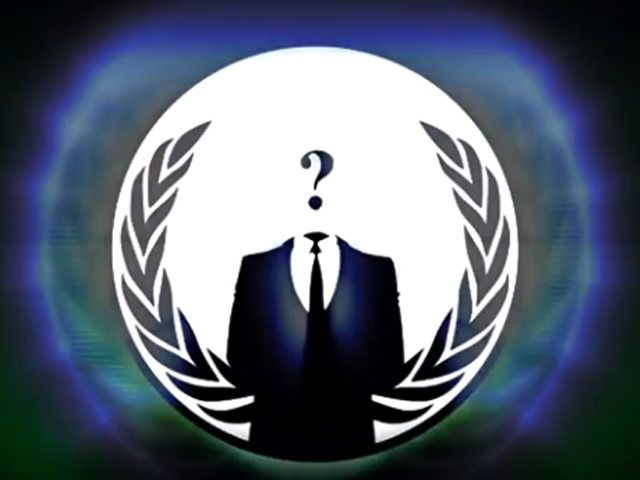 "Anonymous" involved in attack on Israeli sites? Miami Police Department spokesman Sgt. Freddie Cruz Jr. said that he could not confirm that the agency was a client of Stratfor, and he said he had not received any information about any security breach involving the police department. Anonymous said it was able to get the credit details in part because Stratfor didn't bother encrypting them  an easy-to-avoid blunder which, if true, would be a major embarrassment for any security-related company. Hours after publishing what it claimed was Stratfor's client list, Anonymous posted images online that it suggested were receipts for charitable donations made by the group manipulating the credit card data it stole. "Thank you! Defense Intelligence Agency," read the text above one image that appeared to show a transaction summary indicating that an agency employee's information was used to donate $250 to a non-profit. "We have reason to believe that the names of our corporate subscribers have been posted on other web sites," said the email, passed on to The Associated Press by subscribers. "We are diligently investigating the extent to which subscriber information may have been obtained." The email, signed by Stratfor Chief Executive George Friedman, said the company is "working closely with law enforcement to identify who is behind the breach." "Stratfor's relationship with its members and, in particular, the confidentiality of their subscriber information, are very important to Stratfor and me," Friedman wrote. Stratfor's website was down midday Sunday, with a banner saying "site is currently undergoing maintenance." Wishing everyone a "Merry LulzXMas"  a nod to its spinoff hacking group Lulz Security  Anonymous also posted a link on Twitter to a site containing the email, phone number and credit number of a U.S. Homeland Security employee. "They took money I did not have," he told The Associated Press in a series of emails, which did not specify the amount taken. "I think why me? I am not rich." One member of the hacking group, who uses the handle AnonymousAbu on Twitter, claimed that more than 90,000 credit cards from law enforcement, the intelligence community and journalists  "corporate/exec accounts of people like Fox" news  had been hacked and used to "steal a million dollars" and make donations. It was impossible to verify where credit card details were used. Fox News was not on the excerpted list of Stratfor members posted online, but other media organizations including MSNBC and Al Jazeera English appeared in the file. Anonymous warned it has "enough targets lined up to extend the fun fun fun of LulzXmas through the entire next week."